Description: This superbly designed scroll card is a composition gives you a chance to express yourself with total confidence. The scroll is in maroon velvet with golden bars and tassel. 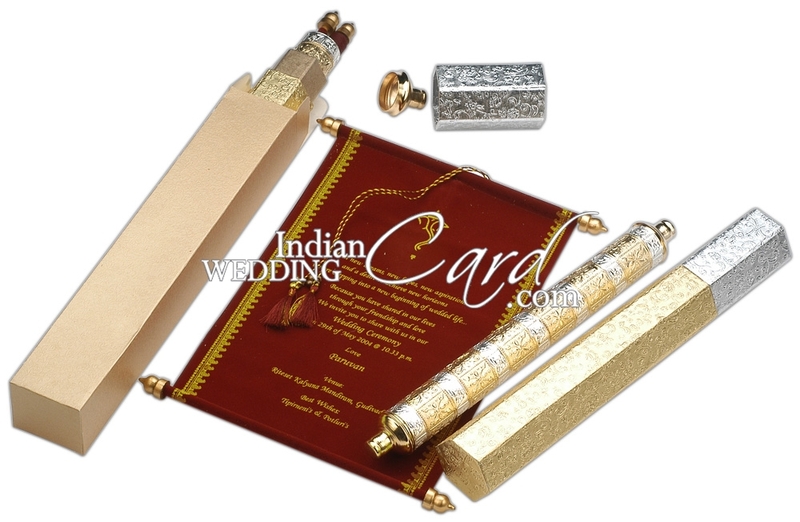 The scroll gets inside the golden and silver combination metal case with exquisite engraving work. This then is contained in a box in golden and silver combination box with embossed floral base design. The golden envelope consumes it all for a perfectly packaged surprise for you.